I have used a 6″ by 6″ cream card. 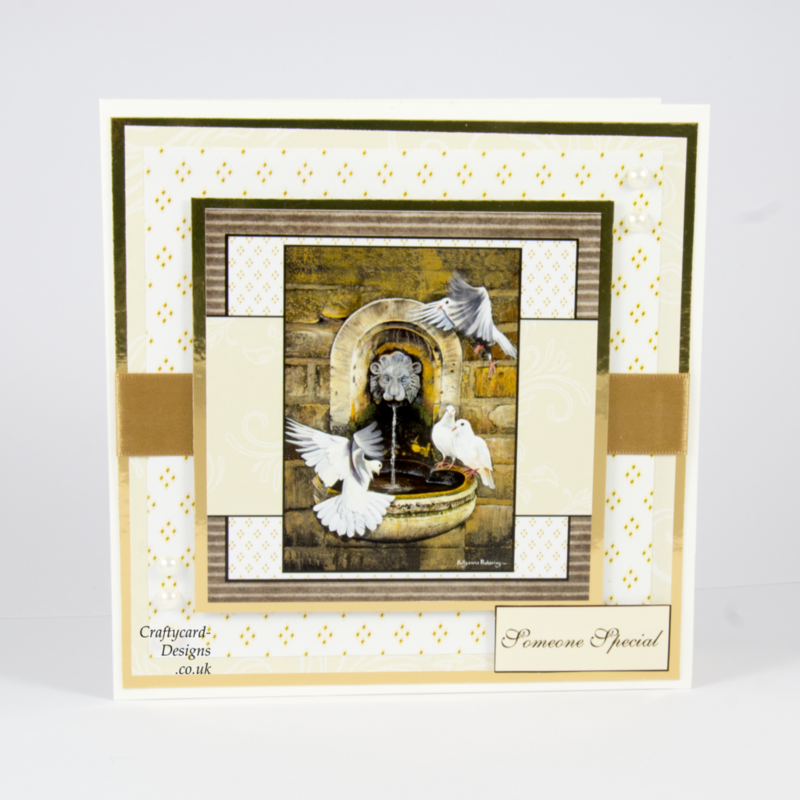 I then matted and layered using gold card with the patterned papers from the paper pad and the dove image from the popper pad. I added some pearls for decoration and a sentiment.